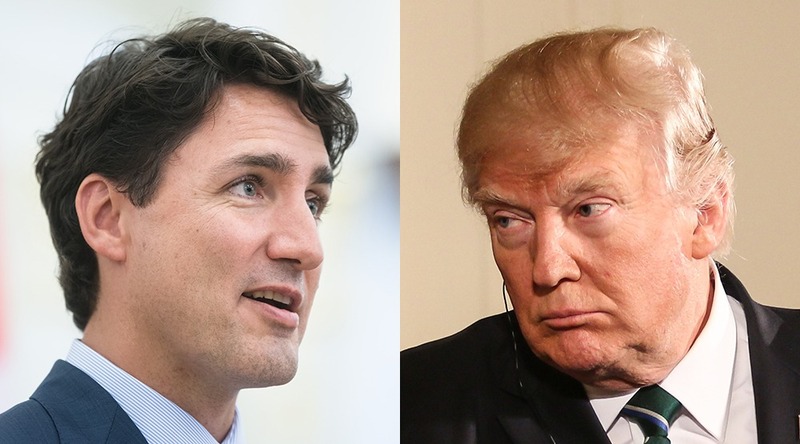 After announcing a broad plan last week to impose tariffs of 25% on steel and tariffs of 10% on aluminum from other countries, President Donald Trump said on Thursday that Canada and Mexico will be spared – for now. Trump made the comments during a signing ceremony at the White House on Thursday afternoon. “I have decided to adjust the imports of aluminum articles by imposing a 10% tariff on aluminum articles, imported from all countries except Canada and Mexico,” said Trump. The decision was made “due to the unique nature of our relationship with Canada and Mexico,” he added. The President did not offer any further details on what this meant. He claimed America had been taken advantage of by its “friends and enemies” and that US Steel and Aluminum industries are dead. He also called out Canada and Mexico for what he said were large trade defecits with both countries.